Exciting times here at Surfstore – our water based activities here at the Lake have been remodelled with the installation of two Sesitec System 2 Wakeboard cable tows. Reception, cafe and changing facilities will be located nearer to the lake where the action is. The 2 cable tows will operate at the top of the lake, with windsurf, sup, kayak and swim areas in the larger area, as previously. Surfstore will be open for business as usual until 10.30am on Wednesday the 24th of December and will re-open again on Monday the 5th of January, orders placed during the break will be shipped when we return. The Surfstore team would like to thank all of our customers for their continued support and wish you a merry Christmas and all the very best for a windy and Warm 2015. We have been busy updating the Red Paddle Co boards along with many other prodcuts in time for Christmas. There are some great deals to be had on the 2014 models. 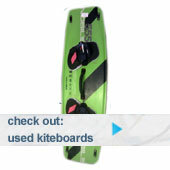 We are also now doing the 2015 models with a free paddle and leash. If you haven’t seen or tried the Red Paddle Co inflatable boards, they are one of the stiffest and most durable inflatable sup boards available. 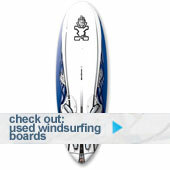 They are perfect for flat water cruising and even wave use. Send us an email if you are an International customer with your full delivery address details and we can provide an accurate carriage quote for you. Cool Shoe Corporation slaps in stock ready for summer! The only shoes you need for the summer – so comfy, so cool…. big sizes now back in stock.